Collins Booksellers - Biology and Ecology of Bluefin Tuna by Kitagawa, Takashi, 9781498724883. Buy this book online. 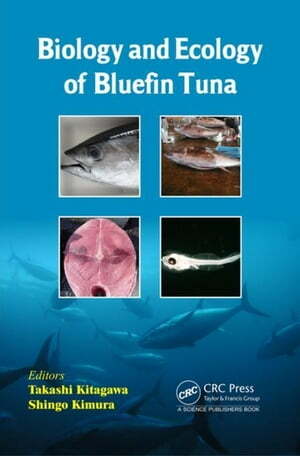 This book focuses on latest information on the biology and ecology of the three bluefin tuna species: the Pacific (Thunnus orientalis), Atlantic (T. thynnus), and southern bluefin tuna (T. maccoyii). In the book, the phylogeny and basic ecological information such as early life history, age and growth, and food habits are covered. Information related to migratory ecology, and important biological aspects such as metabolism and energetics, swimming performance, schooling, visual physiology, and reproductive physiology are also included. Furthermore, new research insights about various kinds of mathematical models for bluefin tuna ecology are introduced. All the chapters are contributed by active scientists engaged in bluefin tuna research. The intent of this book is to contribute to a better understanding of the biology and ecology of bluefin tuna, and encourage undergraduate and graduate students who read this book to become bluefin tuna scientists who can contribute to further understanding of the biology and ecology of bluefin tuna.